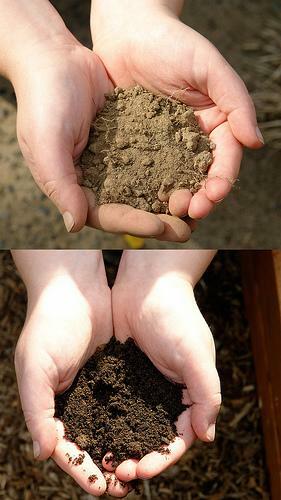 Eating dirt is one of the major symptoms of an eating disorder called pica. Pica is characterized by an appetite for non-nutritive items and substances. The name comes from the Latin word for magpie, a bird known for being able to eat almost anything. Pica is a mental disorder in which a person mouths and/or ingests substances and items that are not edible and have no nutritional value whatsoever, such as dirt, mud, clay, stones, pebbles, paint chips, fingernails, hair, feces, plastic, pencil erasers, glass, plaster, wood, wire, strings, cigarette buts, matches, soap, pens and other items. Some of the persons who present with pica also eat raw food ingredients such as flour, raw rice, raw potatoes, salt, ice, starch and similar. Geophagia is the term used to describe the form of pica in which a person mostly eats dirt. Occasional ingestion of non-nutritive items or substances does not necessarily mean a person has pica. In order to diagnose this disorder it is necessary that a person engages in this behavior for at least one month at an age when this can in no way be considered normal or acceptable, which usually means older than 18 or 24 months of age. Pica is generally a childhood disorder but it can also be seen in persons with mental or developmental disorders. Pica can also be seen in pregnant women. Pica associated with mental retardation or pervasive developmental disorder is usually a secondary diagnosis and in such cases it requires professional observation and constant monitoring. It goes without saying that ingestion of inedible items or substances can be very dangerous and potentially fatal. Some of the complications of pica include poisoning, including heavy metal poisoning, hyperkalemia, infections and gastrointestinal problems. Treatment for pica depends on the category to which a patient belongs - whether he or she is a child, mentally disabled, psychotic or pregnant. In pregnancy pica seems to subside and go away completely after the childbirth. Medication is usually administered for patients who suffer from pica alongside another condition, such as mental retardation or pervasive developmental disorder. Zinc supplements showed to be successful in certain studies performed on Chinese preschoolers with pica. Behavior-based therapy is also an effective treatment option for pica. In this form of therapy, a person suffering from pica experiences negative consequences when ingesting non-edible items or substances and positive consequences are associated with normal behavior. In children, pica can decrease or disappear completely as the child reaches certain age. Is mental retardation progressive in Aarskog-Scott syndrome? Mental retardation and Kanner syndrome-is that autism?